Do You Own a Business? Then Keeping It Running is Key to Your Financial Freedom! Find Out What Insurance You Need to Prevent the Unexpected from Putting You Out of Business! No matter what statistic you read, it is fairly safe to say that most businesses fail. There are many reasons for this, such as poor planning, insufficient capital, or bad management, and working to avoid these is key to the success of your business. But some things are just beyond your control, and when those events happen, they can be devastating to your business. One way to guard against this is having the right insurance. The proper coverage, such as business interruption insurance, can make all the difference in the world if disaster should strike your business. 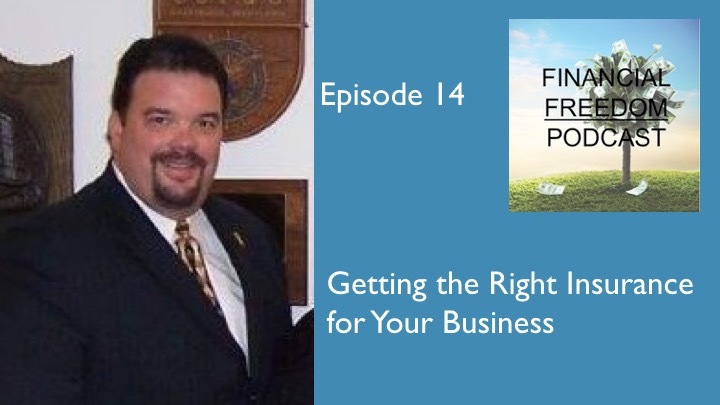 That is why, in this episode, I brought back local insurance broker Dave Strout of Cettei & Connell to talk about what kind of insurance coverage every business should have to increase the chances of success.